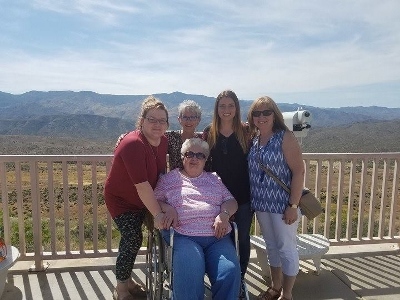 I’m working on a series of posts summarizing and sharing all of the fun that I had on my recent trip to Arizona. On the first full day in Arizona, we checked out some shops in Glendale. 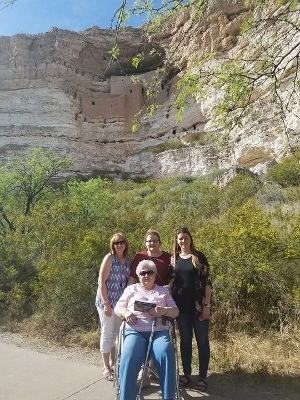 After that, we jumped in the car and headed off to Montezuma’s Castle. On our way there, we stopped at one of the lookouts. It is so interesting to see the different terrain and to experience the changes and differences in elevation. It seemed like anytime we were driving, my ears were regularly popping. We had stopped to grab some snacks that morning and I had grabbed a bag of popcorn. Shortly after we had left the lookout, we were in the car and heard a loud pop, but weren’t quite sure what it was. Turns out the pressure changes due to the elevation had popped the bag of popcorn. Luckily it was in a bag so it didn’t get everywhere, but it was definitely something different. We just so happened to visit on free National Park weekend, so we were able to get in free! 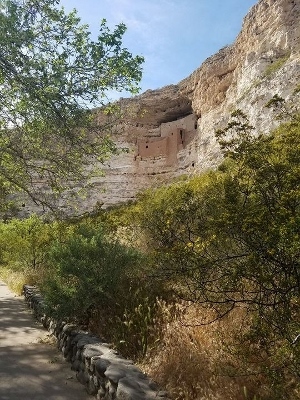 Montezuma’s Castle is an ancient Indian ruins site. 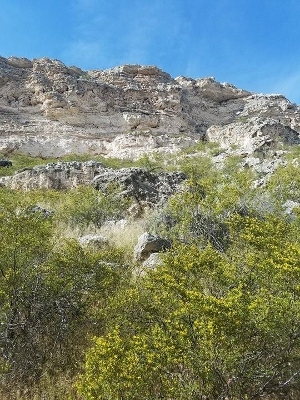 It is believed that the home was built into the rock to increase safety as it would be difficult to enter because it is built high up into the rocks. There are 5 different levels here–but not all are visible. It always perplexes me how they manage to do build homes like this with primitive tools and without modern conveniences. And of course we had to get a group picture! Even looking back at pictures, it’s hard to comprehend how large these rocks and cliffs are! They sure are neat! Stay tuned to see where the rest of our travels took us in exploring the great state of Arizona. This entry was posted in Uncategorized on May 13, 2017 by Kelli. Great pictures! Thx! Looking forward to more of your trip! Did you get to make the drive through Oak Creek Canyon? That’s one of our favorite places.